To prepare this month's Paris Insights we met with four members of SOS Paris, an association founded in 1973 for the purpose of defending the city’s architectural heritage. Read why the beauty of the city that we love is rapidly fading and what can be done to prevent it. 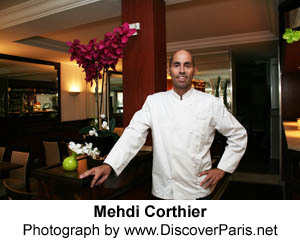 We recently dined at a terrific restaurant restaurant called La Table de Botzaris and met the chef, Mehdi Corthier. Read our account in this month's Le Bon Goût. Should the Tuileries Palace be rebuilt? We think so. We present a brief history of the palace and give reasons why it occupies a major place of importance in French history. Read our report in this month's Paris, Past and Present.